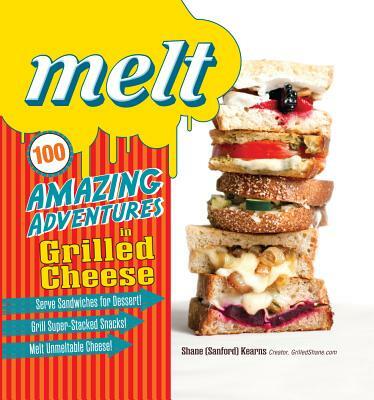 Melt is one part gourmet, one part gluttonyand the only book you'll need to satisfy all your grilled cheese cravings! Shane (Sanford) Kearns is the blogger behind GrilledShane, one of the most visible grilled cheese blogs on the web! After graduating from the University of Cincinnati with a degree in digital design, Kearns put his skills in layout and food photography to use documenting his cooking adventures on his site, which is dedicated to elevating the awesome grilled cheese beyond mere white bread and cheese.